Once you are pregnant, acupuncture continues to be a safe and beneficial treatment option that can be used to address a number of common physical, hormonal, and emotional changes that take place during this time. Morning sickness, fatigue, stress, heartburn, migraines, and back pain respond especially well to treatment. During your labour acupressure treatments, that can be thaught to your birthing partner, can be used for pain relief and to speed up a stalled labour as per Debra Betts Acupressure for Labour. And once baby has arrived acupuressure points can be shown to new mothers to use in order to ease pain and discomfort for their infant; colic, teething, constipation, skin conditions (infant acne, eczema, psoriasis) etc. And finally In addition to all of the above, traditional Chinese medicine therapies are frequently sought as a natural method for alleviating many post-partum complaints, including depression, stress, fatigue, lactation problems, and pain. treatment experience as comfortable as possible. 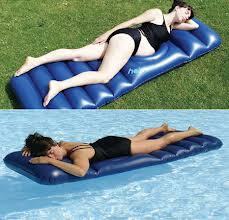 It has been specifically designed to support the pelvis and therefore avoid any strain to the back. This helps me provide the most relaxing and supportive treatments to you.